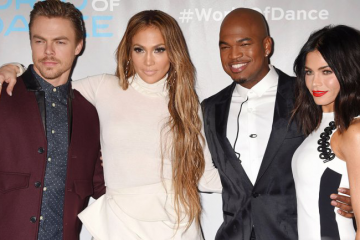 The Juniors faced the heat in last week’s episode of NBC World of Dance Season 3. From sing-alongs to standing ovations, here are our Top 5 moments! If you listen closely, you can hear our judge singing with the song. Talk about being in the moment! Who else got hungry seeing all those snacks? The Season 1 finalist stopped by to surprise our judges and we couldn’t stop smiling at their reactions. Saving the best for last, Lauren’s powerful performance brought Ne-Yo and Derek to their feet. The Redemptions have been the most intense part of every duel. This one was no different!